This is one of my families favorite recipes for Sunday evenings or special occasions. We love to all get in the kitchen together and bake! Mason is my little helper when it comes to making chocolate chip cookies. It’s a special time for him and me to be able to be together. Now that Monroe is getting older, she loves to help out too. We’re learning how to let them help together. These cookies are super easy to make and are even yummier the next day. Make these the next time you’re with family and gather together in the kitchen. In other words, a great way to get everyone together and enjoy special moments with everyone. Below are the directions and ingredients for my secret soft chocolate chip cookies. Most importantly, I hope you have such a fun time baking these with your loved ones! MIX: flour, baking soda, and salt in small bowl. Beat butter, granulated sugar, brown sugar and vanilla extract in large mixer bowl until creamy. Add eggs, one at a time, beating well after each addition. Gradually beat in flour mixture. Stir in morsels and nuts. Use a cookie baller to have like size balls on an ungreased baking sheet. BAKE: for 9 to 11 minutes or until golden brown. Cool on baking sheets for 2 minutes; remove to wire racks to cool completely. And that’s all it takes to make these cookies! I hope you enjoy these yummy cookies! 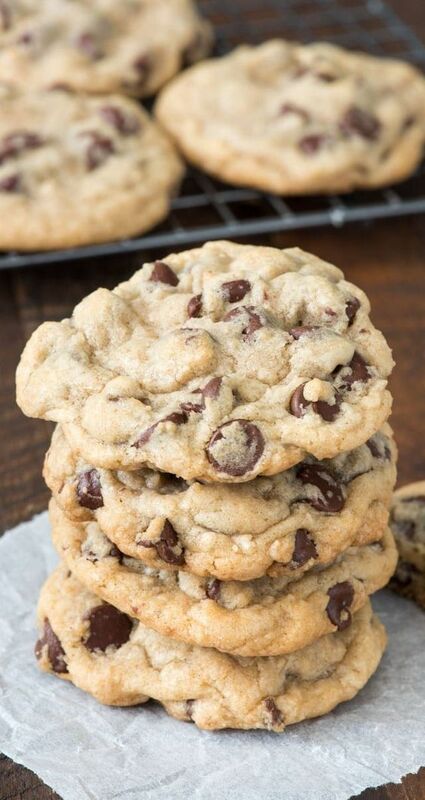 They are seriously the softest and chewiest chocolate chip cookies, ever! If you do make them, tag me or send me a photo. I’d love to see how you recreate this super yummy recipe. Above all, I hope you get to enjoy time with your family and eat yummy treats!